Can I put the Cold Pack beneath my regular Abdominal Binder? We are often asked if the Cold/Hot pack can be placed between the abdominal binder and your tummy. The answer is simple – YES! In fact, before the Pocket binder was created, we often suggested placing the cold pack next to the skin (wrapped in a cloth) with the abdominal binder snuggly placed around the abdomen. It works – providing cool relief to tender incisions while providing gentle compression overall. We think you will agree – its a great way to use your abdominal binder! 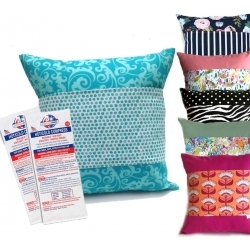 You’ll need Cold Pack Pouch, Cold/Hot Packs and the Abdominal Binder. Easy! 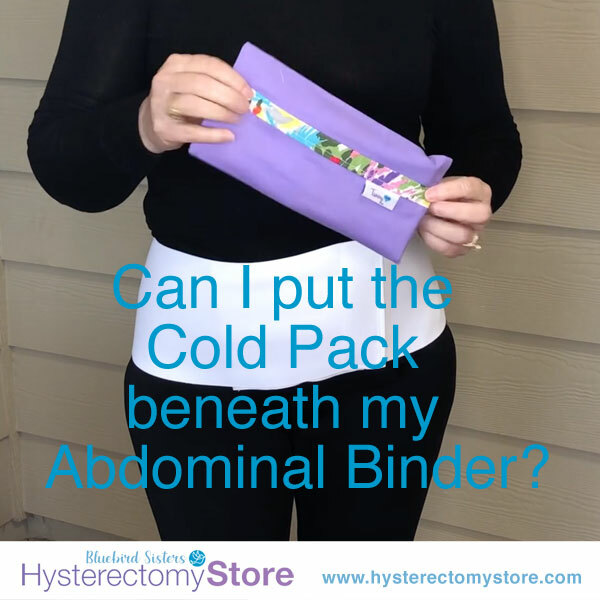 This entry was posted in Questions to the Hysterectomy Store and tagged abdominal, binder, cold, incisions, pack, pocket, Questions, tummy on April 2, 2019 by Bluebird Sisters.